Tired of cookie cutter menus with thoughtless presentations? 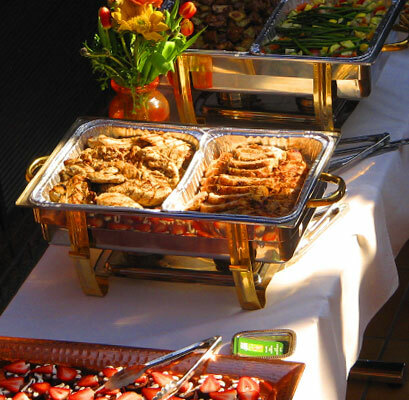 At Mills Catering, we offer a variety of lunch options that will fit the specific needs of your events. Our hot lunches look as good as they taste and never come from a can. Choose from a wide selection of entrees including salmon or mahi, hardwood smoked pork loin, or other specialty dishes. 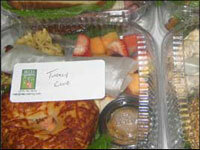 In our boxed lunches we use only the best of everything including artesian breads and hand-cut meats. Even our condiments are made from scratch. Or, maybe the day calls for an elegant luncheon with individual service on fine china. Regardless of what kind of lunch you are planning with our tasty food, appealing presentation, and seamless service, you’ll definitely wish your lunch-hour was longer!